Some years back Meuse Press published Guide to Sydney Beaches http://sydneybeaches.tripod.com/beaches.pdf as a piece of guerrilla marketing, introducing people to poetry who were actually looking for information about specific beaches. The result was many thousands of hits. Sydney is also blessed with a number of rivers within its sprawl and we are looking at doing a companion volume. We are seeking poems and photographs exploring this theme from the Hawkesbury southward. It will be an e-book freely available and as such there is unfortunately no payment for anybody. Prior publication is no problem but we would appreciate details so we can properly attribute. Also, please note with your submission which river you are referring to. Calling all short story writers! 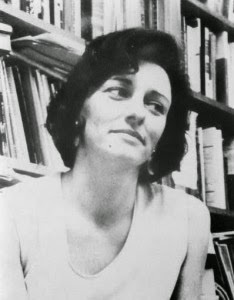 Entry is now open for the ABR Elizabeth Jolley Short Story Prize (worth $8,000) and the deadline has been extended to midnight May 10! The Prize is for a new short story of between 2,000 and 5,000 words, written in English and it is open to writers all over the world. Entries close May 10. ABR will publish the three shortlisted stories in the September Fiction issue and the overall winner will be announced at an event at the 2015 Brisbane Writers Festival. See our website for more information, to read previously shortlisted and winning stories, and to enter the Jolley Prize. 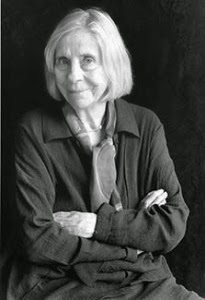 Entries are now open for the 2015 ABR Elizabeth Jolley Short Story Prize. The 2015 Jolley Prize is worth a total of $8,000, with a first prize of$5,000 and supplementary prizes of $2,000 and$1,000. The Jolley Prize will be judged by ABR Deputy Editor Amy Baillieu, poet and academicSarah Holland-Batt, and author Paddy O’Reilly. Many hours of listening here. My favourite poets shift their place on the ladder almost daily, so I have a wonderful time with this site, darting from one to the other ... I love to hear poets read their own works! Ever hit up iTunes looking for a podcast on Australian poetry? Once, there was Poetica, but sadly the flagship of Australian Poetry broadcasting is no more. If you’re like Robbie Coburn and Nathan Hondros, you’ll enjoy your daily constitutional with your earphones in, and the world in your ears. What you want to hear, when you want to hear it. If you’re like them, you’re hungry for the latest news on Australian poetry and interviews with the poets you love. That is exactly what they want. So The Australian Poetry Podcast was born. 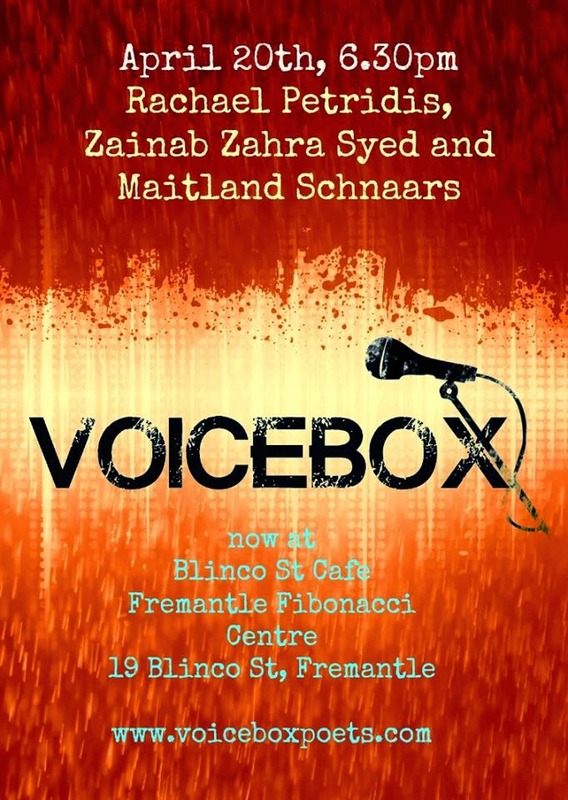 Tune in, Australian poets and poetry lovers. To hear all the latest in Australian Poetry and Poetics find them here. Nance was a week short of her sixth birthday when she and Frank were roused out of bed in the dark and lifted into the buggy, squashed in with bedding, the cooking pots rattling around in the back, and her mother shouting back towards the house: Goodbye, Rothsay, I hope I never see you again! Applications are now open for the 2015 NSW Visual Arts Fellowship (Emerging) valued at $30,000. The NSW Visual Arts Fellowship (Emerging) is offered by the NSW Government to enable a visual artist at the beginning of their career to undertake a self-directed program of professional development. the creation of new work. As part of the assessment process, a shortlist of up to 12 artists will be selected to participate in an exhibition at Artspace, Sydney. Applications close midnight (AEDT Sydney) Monday, 18 May 2015. Find out more about the 2015 NSW Visual Arts Fellowship (Emerging) and apply. 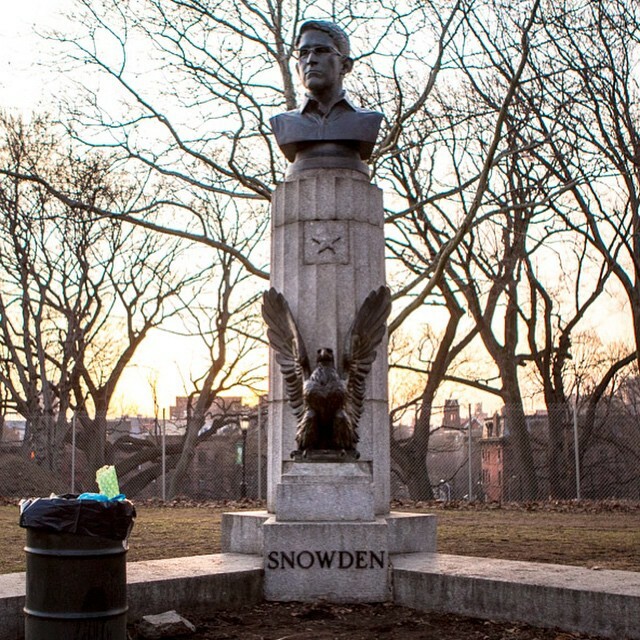 In the wee hours of Monday morning, three artists and a team of helpers illegally installed a bust of NSA whistleblower Edward Snowden in Brooklyn’s Fort Greene Park. The faux-bronze bust, designed to blend in seamlessly with the adjacent Prison Ship Martyrs Monument to soldiers of the Revolutionary War, was placed atop a previously empty plinth, with Snowden’s last name affixed beneath the bronze eagle at the column’s base. If we don't remember him as an elite legspinner, a thinking captain or one of cricket's true professionals, it's because of the phenomenal work he has done as a commentator, writer and observer. 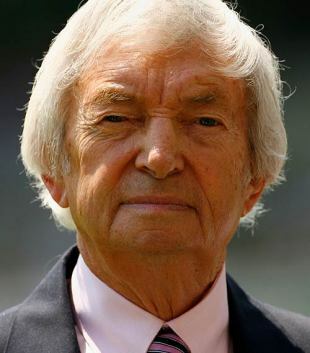 "Did you ever play cricket for Australia, Mr Benaud?" In his On Reflection, Richie Benaud recalls being asked this humbling question by a "fair-haired, angelic little lad of about 12", one of a group of six autograph seekers who accosted him at the SCG "one December evening in 1982". "Now what do you do?" Benaud writes. "Cry or laugh? I did neither but merely said yes, I had played up to 1963, which was going to be well before he was born. 'Oh,' he said. 'That's great. I thought you were just a television commentator on cricket.'" Autograph in hand, the boy "scampered away with a 'thank you' thrown over his shoulder". Artists Natalie Scholtz and Kate Leslie, both dear friends of Regime Books, are opening their exhibition Remember All My Universes at the Moores Building this Friday night, April 10 from 6pm to 8pm. Get down to the Moores Building (46 Henry Street, Fremantle) before April 26 to see this incredible exhibition from these two kickarse painters. Invite here. Co-hosts of our very own OzPo podcast (and Regime poets), Robbie Coburn and Nathan Hondros, have three podcasts in the bag. 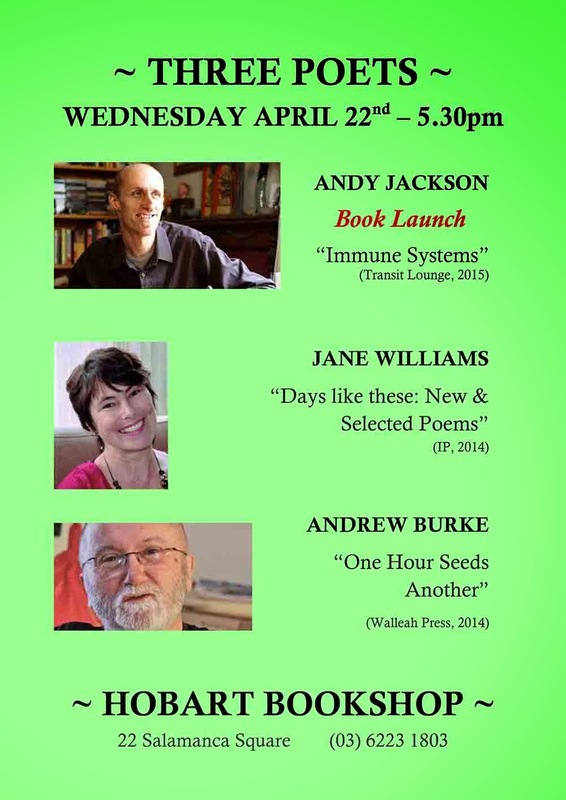 Guests include Regime Editor Andrew Burke, Vic Premier's Prize Winner Jill Jones and and Rochford Street Press poet and critic Mark Roberts. To hear all the latest in Australian Poetry and Poetics find us here: Australian Poetry Podcast or on iTunes. Edited by renowned poet Andrew Burke, Regime 05 boasts 111 poems by the best poets at work today. New work from Andrew Taylor, Andy Jackson, Annamaria Weldon, Jill Jones, Judith Rodriguez, Geoff Page, Amanda Joy, Andrew Lansdown, Merv Lilley, and a long poem by Martin Harrison. Copies are limited, so please order now. Please note new start times i.e. dinner at 6 and readings at 7.30. If you'd like to join my tables up the front let me know or you may prefer to start your own table and book directly with The Gods on 6248 5538 or thegodscafe@gmail.com. Suzanne Edgar received excellent reviews for her 2012 collection, The Love Procession. Since then she’s been writing & publishing poems and adding them to a pile which may become another book one day. Sarah Rice moved to Canberra 1975 and works as an art theory lecturer. Her books include Those Who Travel, a limited-edition, letter-press art-book of poetry with prints by Patsy Payne (Ampersand Duck 2010). She recently won the Ron Pretty Poetry Prize. John Foulcher is deputy principal of an ACT secondary school. 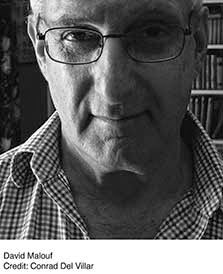 He has published nine collections of poetry, the most recent being The Sunset Assumption (Pitt Street Poetry 2012), His 101 Poems will be published by the same publisher in 2015. 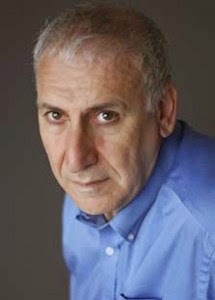 Alan Gould is the author of novels, poetry collections and books of essays. His most recent collection is Capital (Puncher & Wattmann 2013) and his latest essays are in Joinery And Scrollwork (Quadrant 2013). Geoff Page has run poetry readings and jazz concerts at the Gods Café in ANU for many years and is also well-known as a reviewer. He has published twenty-one poetry collections, two prose novels and five verse novels. His New Selected Poems came out from Puncher & Wattmann in 2013. Bookings essential. 6248 5538 Light meals are available at 6.00 pm ‘Non-eating’ seats can also be booked. Readings start at 7.30 pm. Admission: $10 waged; $5 unwaged. Seating limited to 80 people. The Gods Café/Bar is in the ANU Arts Centre (across the quadrangle from the Student Union near Sullivan’s Creek). of Japanese form tanka poetry,and musical performances. from the Australian National University. 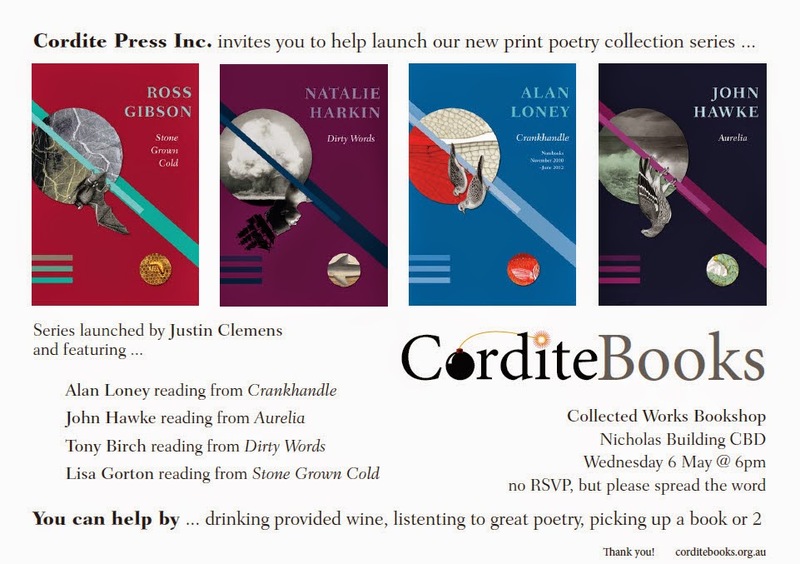 Around 20 poets from Canberra and Sydney whose tanka are published in the anthology will be in attendance and reading their own work to the audience.